DAVID LE/Staff photo. 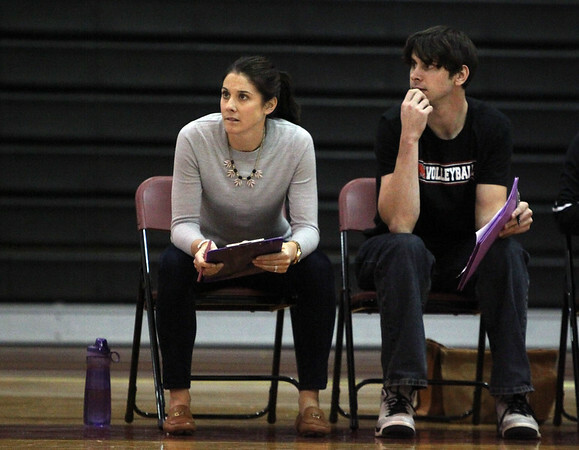 Marblehead girls volleyball Killeen Ross Miller and assistant coach Mike Glabicky. 10/2/15.